Relying on native Exchange security measures may not be enough to keep your organization safe from ever more sophisticated email threats and productivity-draining spam outbreaks. Discover how you can create a comprehensive email strategy to ensure the highest level of security for your organization. Access this expert e-guide for tips and considerations to keep in mind when selecting security products. 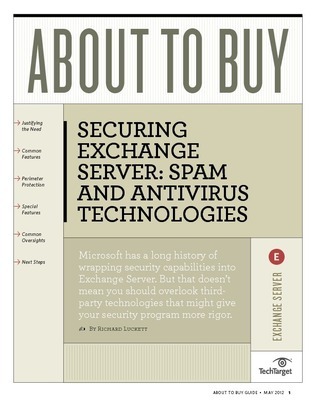 Plus, learn about security oversights to avoid and the pros and cons of hosted versus on-premise Exchange deployments.